This one is already fully funded on Kickstarter, which wraps in just over one week, so make sure you make your pledge to take advantage of the early bird because there are still a handful left!! These beautiful coins feature each of the signs of the zodiac. On one side, you’ll find the sign and on the back you’ll see featured its glow in the dark constellation! They’ve also been embedded with Swarovski® crystals to represent the corresponding birth stone colour, and are finished in either Gold or Silver. The attention to detail on these coins is second to none and it’s incredible how much they’ve been able to pack into such a small space. Lover of the stars or not, this is some seriously beautiful bling to be strutting around! Featuring beautiful intention kits, candles and prints - the products offered at The Moon The Muse will both uplift your environment and help you invoke your desires! I have their Death candle and it’s the perfect tool to clear out the cobwebs and make room for brand new energy. Kristen of Over The Moon Academy makes a variety of super unique and powerful oracle decks that would be suitable for someone new to divination, and also total pros. There’s so much variety to choose from that you’d be hard pressed to not find one that absolutely speaks to your soul. Featured here is her Haiku Oracle, which I just adore. Price range: decks in the range of $17+ depending on how many your order! image I took featuring the compendium of constellations - one of my favourite oracle decks! Here is another suggestion for the oracle and tarot lovers in your life who prefer their tarot with a side of Astrology. 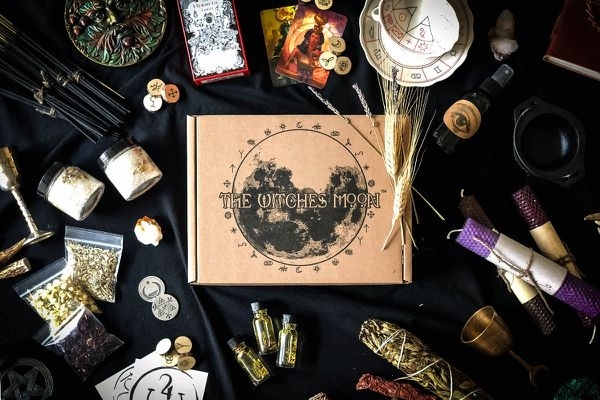 Claire of Black and the Moon features some of the most beautiful decks and prints in a collection of magickal items that is sure to thrill any witch, mystic or seeker on your shopping list this year. Mary Shannon of Seven Cups Mystic has published this practical guide to your energetic body. It is a beautiful introduction to Chakras and Auras that will both teach you the basics as well as help you understand your own energetic state and how to improve it! The perfect companion for anyone interested in learning more about the colours and vibrations that make you you. P.s. 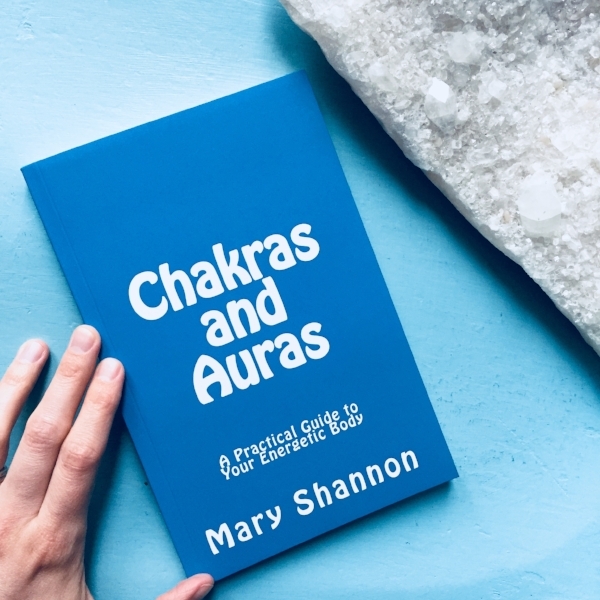 I’ve had the pleasure of having a chakra and aura reading done by Mary Shannon and she truly knows her stuff! Emilie of Chill Vibes Tarot makes beautifully crafted, hand wrapped pendants from a variety of stones. Not only are they stunning, they are the perfect item to give your energy centres a boost and raise your overall vibration. 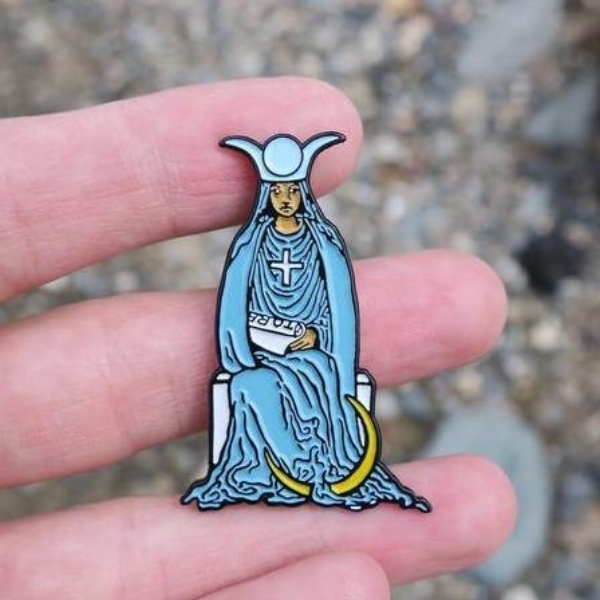 Mike of Shining Moon Studio makes incredible tarot themed items from pins, to stamps, to shirts to journals and more! I wish I could cram it all into one photo, so you’ll have to take my word and go check out the whole line up! Still not sure? Or looking for something less tangible and more personalized? Why not gift a tarot reading? I’ve recently added a gift card option to my tarot reading packages and there, you can select between 1-3 questions to gift a friend. Once the payment has been processed, I’ll provide the gift-card code which you can then pass on to the recipient. It couldn’t be any easier! 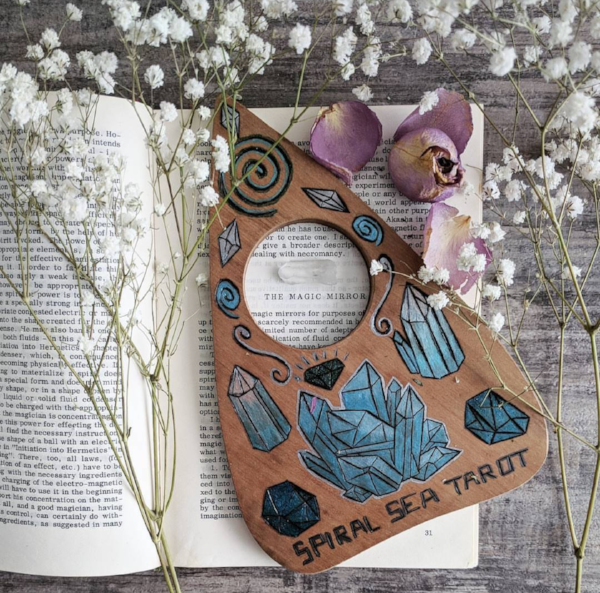 About a year ago I purchased a handcrafted planchette from the talented Cheyenne. Since then, it’s been a staple on my altar in both a ritualistic and decorative manner. Grab one for yourself or that spirit obsessed friend on your gift list - it will not disappoint! ﻿Still not sure what to get your tarot loving, star gazing, spirit talking friend or family member? Why not hook them up with a subscription box and take the thinking right out it! Below are a list of some that come recommended - though I have no personal or direct experience with any! And there you have it! Hopefully you found exactly what you were looking for, or at the very least got some incredible ideas to kick start your holiday shopping! It’s not always easy to find the perfect gift, especially in niche categories or interest categories, but the good news is that with artists and creatives like the ones I’ve listed above, it’s getting easier and easier to find unique and beautiful items, in any price range, that your mystical pals will love!